We specialize in providing Palmarosa Oil to the clients. Palmarosa is a wild herbaceous plant, growing to a height of nine feet (three meters). With long, slender stems, fragrant grassy leaves, and flowers in â��terminalâ�� clusters, Palmarosa is a member of the Cymbopogon (formerly Andropogon) genus of aromatic tropical grasses. Palmarosa has a soft, lemony-fresh green scent with hints of geranium and rose. Considered a â��middle-noteâ��, Palmarosa essential oil is extracted by steam or water distillation of the fresh or dried grass. Also known as (Indian) rosha, Palmarosa Oil has been distilled since the 18th century. Featured in the Indian Materia Medica, Palmarosa Oil and the dried herb are both used in Ayurvedic medicine. 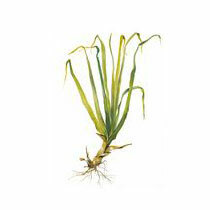 Palmarosa Oil is recommended by aromatherapists for neuralgia, lumbago, sciatica, and rheumatic pains. The herb is used to (treat) fevers, dyspepsia, and colitis. In terms of traditional oriental medicine, Palmarosa oil is cool and moist in energy. Like both Rose and Geranium, Palmarosa clears heat and strengthens yin-energy (the bodyâ��s calming, moistening functions). It is thought to be beneficial to the skin because of its moisture balancing effects. Palmarosa essential oil may be beneficial for candida, the cardiovascular system, circulation, digestion, infection, nervous system, and rashes. It is valuable for all types of skin problems, as it is thought by aromatherapy professionals to stimulate new cell growth, regulate oil production, moisturize and speeds healing. Palmarosaâ��s most common application is in the treatment of skin challenges as well as in general skin care. Its ability to tone up the yin gives it a superb hydrating property. Palmarosa Oil is helpful for dry, undernourished skin conditions. Palmarosa is cooling and anti-inflammatory making it applicable for wrinkles, dermatitis, eczema, and psoriasis. The oils anti-bacterial, anti-fungal, and anti-viral properties make it indicated for a wide variety of skin infections, including acne, boils, shingles, and mycosis (fungal infections). Combined with Lavender, Tea Tree, and Geranium essential oils, Palmarosa oil can often assist in clearing genitor-urinary infections, such as cystitis, urethritis, and vaginitis. A cardio-tonic and nervous relaxant, Palmarosa Oil helps to stabilize both Heart and nervous system. Reinforcing the Heart-yin and calming the Mind (Shen), it is indicted for palpations, restlessness, insomnia, and anxiety. The elegant, long stems of this aromatic grass convey the principle of flow or movement. Its zylem tissue transports water and nutrients from the roots to the plants aerial parts; while its phloem tissue transports nutrients manufactures in the leaves to other parts of the plant. All the while the stem tissues are also used for water and food storage (this function is yin in nature). Conveying a sense of movement, containment, and contentment (purna), palmarosa essential oil encourages free-flowing adaptability and a sense of security and trust in the divine flow of life. The gentleness of Palmarosaâ��s lemony-rose aroma is soothing and astringent, dispersing, and gathering. Palmarosa Oil (like rose oil) centers, supports, and softens the Heart and Mind (Shen), and similar to lemon essential oil, Palmarosa Oil can assist in clearing away oppression. Palmarosa essential oil is especially good for hot conditions where there is a tendency towards tension and exhaustion. Palmarosa Oil is suited for individuals who suffer from nervousness, and insecurity, but whom, in addition, cannot abide change, and the frequent absence of intimate loved ones. Palmarosa is appropriate as well for those who feel â��clingyâ�� jealous or possessive.